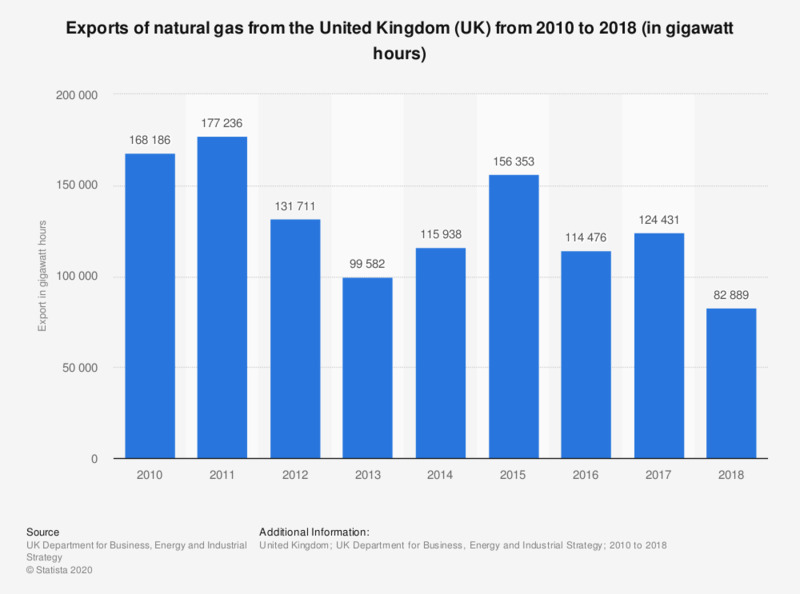 This statistic shows the exports of natural gas from the United Kingdom (UK) from 2010 to 2017, in gigawatt hours. The amount of natural gas exported decreased notably after 2011 to 99,583 gigawatt hours in 2013, but increased again in 2015 to 156,353 gigawatt hours, before dropping in the following years. This includes exports to Belgium, the Netherlands, Norway, as well as the Republic of Ireland.